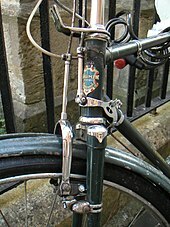 The basic design dates from at least the 1930s. 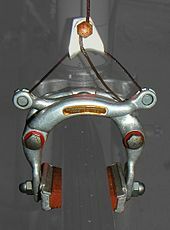 They were made most prominently by Campagnolo in 1985, but brakes based on the same mechanism were also manufactured by Modolo (Kronos), Weinmann, and others. 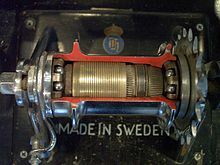 They are no longer made and are now uncommon. 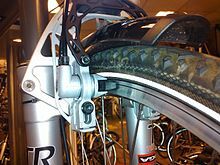 A drag brake is intended to provide a constant decelerating force to slow a bicycle on a long downhill rather than to stop it — a separate braking system is used to stop the bicycle. 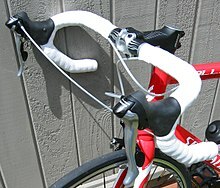 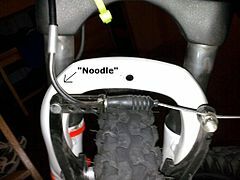 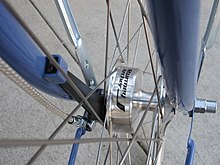 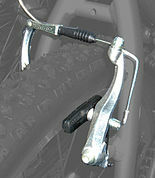 A drag brake is often employed on a heavy bicycle such as a tandem in mountainous areas where extended use of rim brakes could cause a rim to become hot enough to blow out. 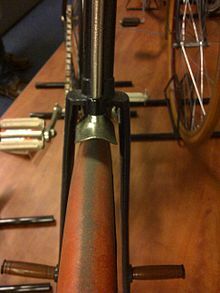 The typical drag brake has long been a drum brake. 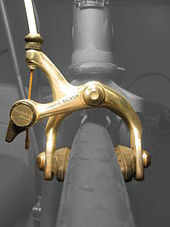 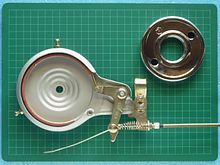 The largest manufacturer of this type of brake is Arai, whose brakes are screwed onto hubs with conventional freewheel threading on the left side of the rear hub and operated via Bowden cables. 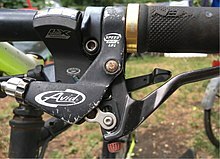 As of 2011, the Arai drum brake has been out of production for several years, with remaining stocks nearing depletion and used units commanding premium prices on internet auction sites.